In an attempt to answer this question I’ve grabbed my crystal ball and tapped my inner Carnac the Magnificent to bring you my EV predictions for 2018. Some of them will seem rather obvious and logical to EV observers, some likely a stretch, while others may fall into the camp of purely crazy speculation. In some cases I’ve been very specific with the names of companies — not for the purpose of being precise but merely to make the predictions feel a bit more real. 1. ExxonMobil and/or BP each acquire an EV charging company. 2. Chinese automaker GAC Motors announces it will enter the US market with an electric CUV in 2019 through a partnership with Fiat Chrysler (FCA). 3. Tesla unveils the Model Y CUV during its most watched live event ever and receives 500,000 reservations within 1 week. 4. Tesla joins the chorus of solid-state battery announcements and says it will deliver a new model with solid-state batteries by 2023. 5. California falls just short of reaching EV sales of 10% of new vehicle sales in the state. 6. US EV sales nearly double and reach 2% of all new vehicle sales. 7. Tesla wins a US Supreme Court case that permits the company to sell autos directly to consumers in all 50 states. 8. Ford and GM announce plans for PHEV versions of one of their large SUVs and pickup trucks. 9. Fiat Chrysler (FCA) receives a significant investment from Google and partners with a GAC Motors to leverage their electric drivetrains for future EVs. 10. US installations of EV charging stations suffer delays due to a massive shortage of electricians. 11. Several US states propose or implement new vehicle taxes and fees to prepare for a future decline in gas tax revenue. 12. Fisker Inc. partners with Geely and shifts its focus to solid-state battery development and vehicle design. 13. BMW and Mercedes-Benz announce plans to include wireless charging in all new EV models by 2021. 14. The US reaches 60,000 (from a current 46,944) installed public chargers. 15. 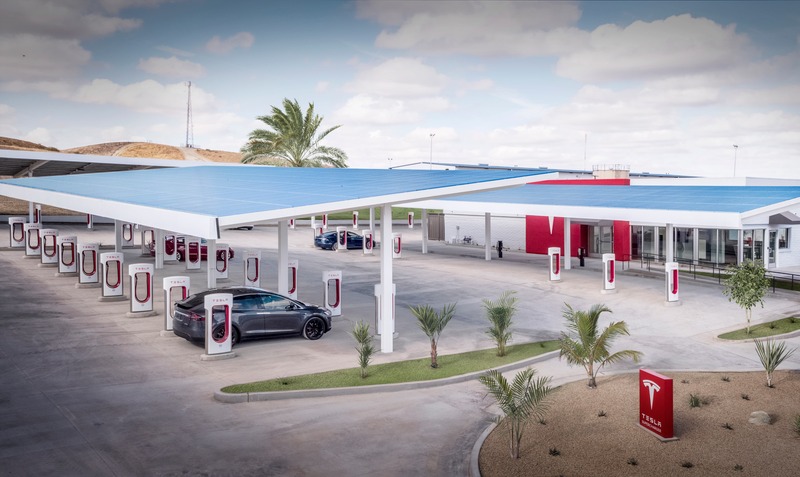 Tesla opens 50 “super” (40+ chargers) Supercharger centers/lounges worldwide. 16. 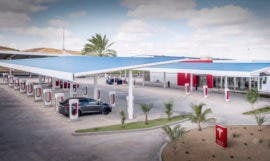 GM opens a new fast-charging/showroom/food service center concept in partnership with Panera Bread (fast-casual restaurant chain) in 2 California test locations. The pilot projects also include special charging stations for Chevy Bolt drivers using the Maven ridesharing program. 17. Google launches a home EV charger under the Nest product line and also launches a mobile advertising-based EV charging network and acquires Volta Charging. 18. At least 5 more countries or cities announce plans to ban sales of internal combustion vehicles – the US will not be one of them. 19. The Whole Foods supermarket chain significantly expands the number of EV charging stations at its stores and makes charging free for members of the Amazon Prime program. 20. Global sales of EVs will reach 1.75 million in 2018 and 4.75 million all time. 21. The Tesla Model 3 breaks multiple electric vehicle sales records, including being the first EV to sell more than 200,000 units in a single year and more than 10,000 and 20,000 in sales per month in the US. 22. 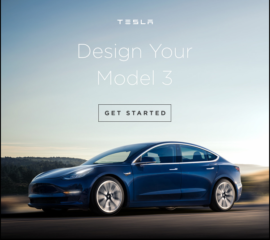 Tesla sells more than 300,000 cars worldwide. 23. China EV sales nearly double to 1,000,000. 24. A major fleet operator places an order for 1,000 Chevrolet Bolts. Let me know in the comments what obvious things I’ve left off, and on which predictions you think I completely missed the mark. And then we will reconvene a year from now. Loren McDonald writes about the factors driving adoption of electric vehicles and the opportunities and challenges the transition to EVs presents companies and entrepreneurs in the auto, utility, energy, retail and other industries. His research and content are published on CleanTechnica, his own blog/site, www.EVAdoption.com, and in his upcoming book "Gas Station Zero" about the huge shifts and changes in multiple industries driven by the transition to battery electric, autonomous and shared vehicles.